Tags: idle, champions, early, access, event, ahghairon's day, ishi snaggletooth. Ahghairon's Day commemorates the birthday of Ahghairon, the first Open Lord of Waterdeep and founder of the Lords of Waterdeep. In his name, Lords toast Ahghairon and the Watchful Order, while guildmasters toast the Lords in Ahghairon's name, and common folk leave violets at the base of Ahghairon's Tower, the Plinth, and atop the altars of the House of Wonder. Ahghairon's Day is our sixteenth limited-time event for Idle Champions of the Forgotten Realms, which runs until Monday, August 27th at 12:00pm PDT, and introduces Ishi Snaggletooth, Kobold Fighter! Ishi Snaggletooth hails from a warren of Kobolds living in the sewers under Baldur's Gate. Always the type to be more curious than careful, she accidentally stowed away on a ship headed to Port Nyanzaru. There, she met her dear friend, the Firbolg Littlefox. Often shunned by humans, Ishi hopes to prove herself as a true hero however she can. Ishi's biggest claim to fame is the defeat of the known swordsman, Hershel Von Saberburg, and since that day she's touted herself as a renowned duelist to anyone that'll listen to her. Ishi is always the fastest Champion in your formation. She increases her own damage as well as the party's Gold Find based on the number of non-human members. When you want to add Ishi to your party, you can swap her with Jarlaxle or Stoki. 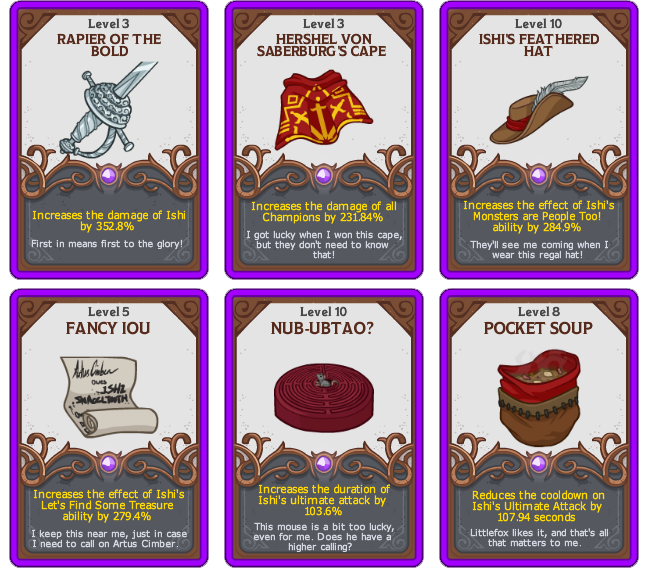 Memory Magic — Two slots in your formation are affected by a magical spell causing all of the bandits to fight for the Eye of Gruumsh spellcaster. These affected slots change every 15 seconds by moving to a random adjacent slot. Heroes in affected slots must concentrate on resisting the magic, so they are unable to attack and all their Formation Abilities are disabled. 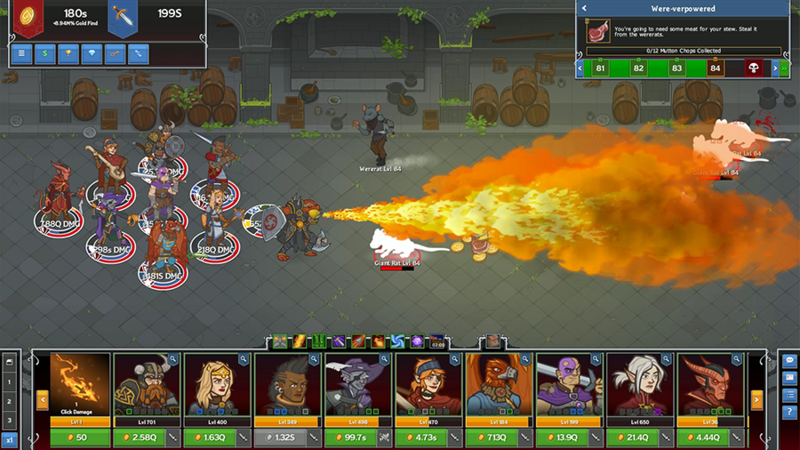 Orcs Among Us — One, two, or three Powered-up Orc Fighters spawn randomly with each wave. They have triple health, do triple damage, they do not drop any gold, and they do not count toward any quest progress. No Humans Allowed — Ishi has been shunned by humans too many times, and for once she just wants them to see how it feels! You cannot use Human Champions in this variant. Added the Ahghairon's Day event, our sixteenth limited-time campaign event! The event runs until Monday, August 27th at 12:00pm PDT. 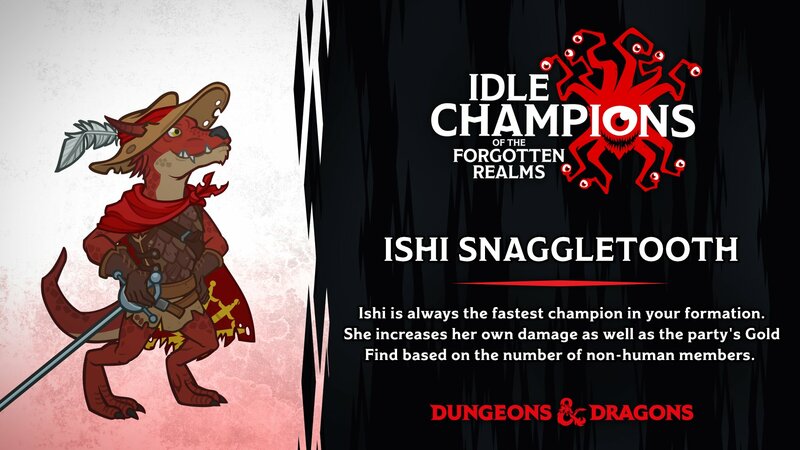 Added a new Champion: Ishi Snaggletooth, Kobold Fighter. Added a new event Divine Favor: Azuth's Favor. Tags: idle, champions, update, event, Ahghairon's Day, ishi, spotlight. Welcome back to our latest Champion Spotlight design blog! Today, we're going to go into detail on our newest Champion: Ishi Snaggletooth - Kobold Fighter, who will be available in our latest event: Ahghairon's Day- launching on August 15th! I hope this blog will give you all you need to know about our latest Champion. Ishi is unlocked by playing Ahghairon's Day, a limited-time event launching on August 15th and running until August 27th. 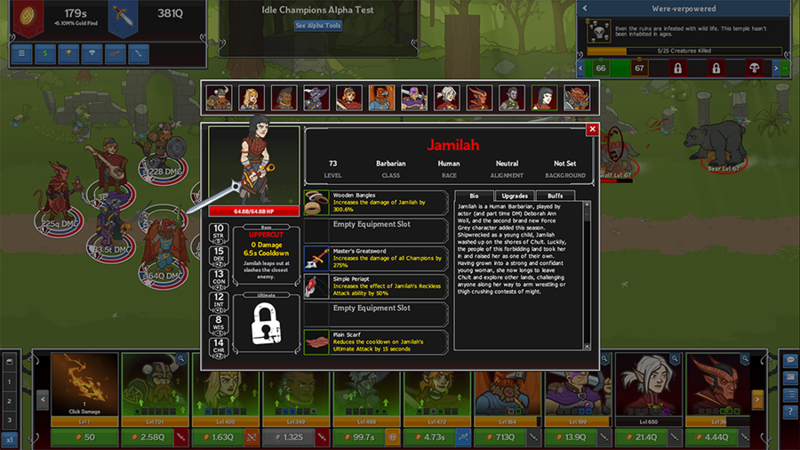 Once you unlock Ishi, she swaps with Jarlaxle or Stoki. In addition to being an adorable pile of Kobold fanciness, Ishi is a character played in the weekly Roll 20 livestream on the D&D Twitch channel. Ishi is an overconfident loudmouth. She's out to prove herself, and she doesn't know when to shut her mouth. I don't know about you, but I can definitely relate on that point! Since she began her adventuring career, she's often been looked down upon as "just a kobold". However, she's taken that frustration and channeled it into championing the fact that monsters can be adventurers too! Thanks to a few lucky encounters, and her ability to exaggerate her skills, she's known as a deadly duelist most noted for defeating the great Hershel Von Saberberg in a duel to the death. The remnants of his cape now adorn her small stature as a reminder to those that she passes: Ishi is not to be messed with. You can go along on the continuing adventures of Ishi & co. every Friday at 1PM PST. She is roleplayed by Violet Miller, AKA DistractedElf. From our initial discussions with Violet, we keyed into the idea of "monsters are people too", as it is core to who Ishi is. She's a fighter who focuses on DPS and increasing your gold find. Ishi is always out to prove herself, and that is reflected in her Quick Strike basic attack. Quick Strike states: Ishi attacks the front-most enemy a quarter second faster than anyone else. That means if you're fastest champion is attacking every 4 seconds, Ishi attacks every 3.75 seconds. If you then add a champion that attacks every 3.5 seconds, Ishi steps it up and attacks every 3.25 seconds! 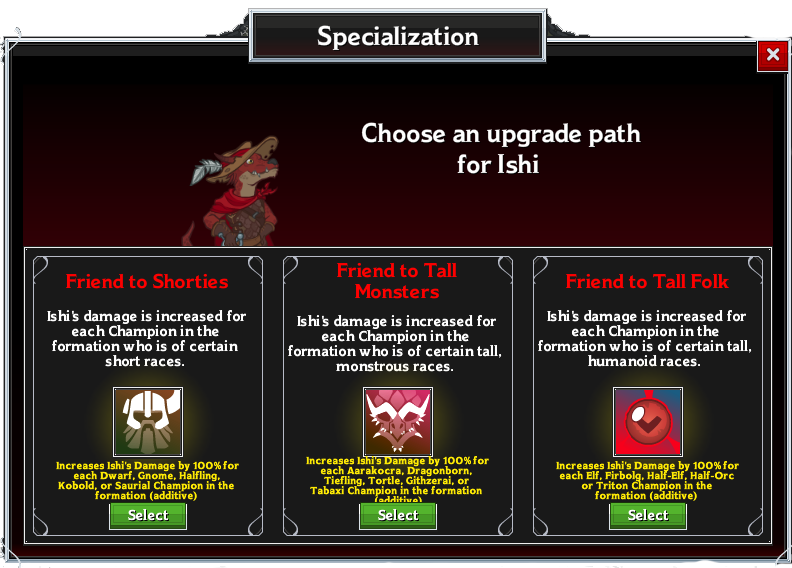 The first ability you'll unlock with Ishi is her Monsters are People Too! ability. With it, she increases her damage by 25% for each non-human champion in the formation. It's an additive bonus, so if you can get her surrounded by 6 non-humans, she's got a 150% increase in her damage, just for hanging with her peeps! 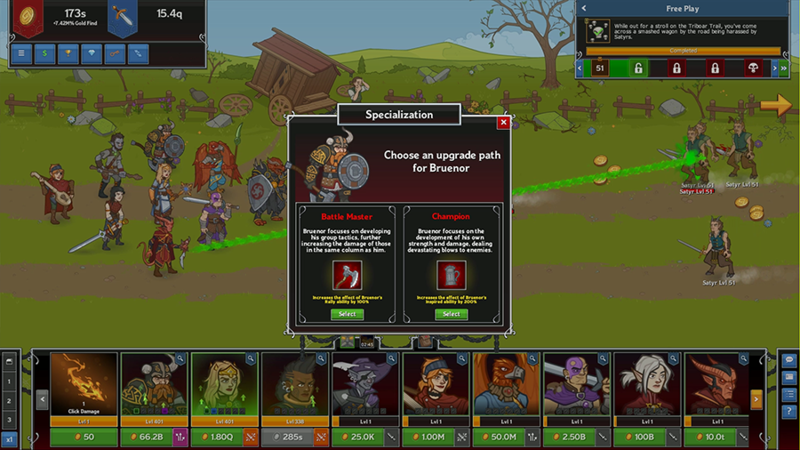 From there, you can unlock the first of her specialization choices, which focus on increasing your gold find. If you want to use her in the early game, when you're cleaving through enemies quickly, choose Clear 'em Out! If you want to have her boost your gold find when you're close to your wall and fighting against a bunch of baddies, choose Wait for It! 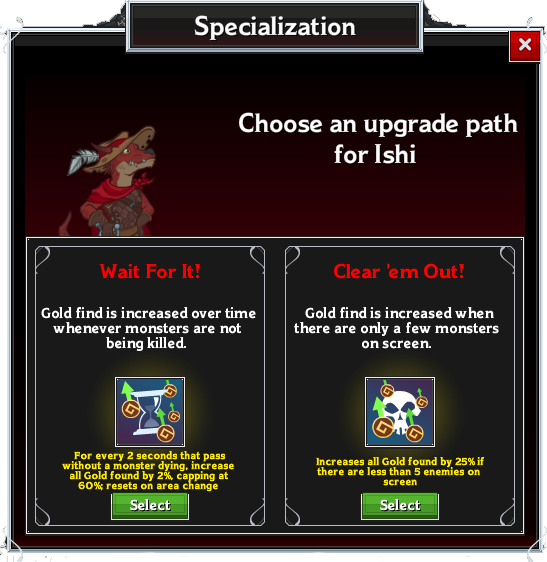 Her next ability is Let's Find Some Treasure, which increases all gold found by 10% for every non-human champion adjacent to Ishi. Are you sensing a pattern here? From there, you reach her second specialization choice, which is all about choosing her friends. Shorties: Both monsters and "standard" adventuring races that share a similar aversion to being the tallest in the room. Tall Monsters: The name says it all. Monstrous races who tower over Ishi. Tall Folk: These are tall folk that Ishi doesn't consider monsters, but at least they're not humans! Whichever route you go, Ishi's damage is raised by 100% for each of those races in the formation! Ishi's ultimate is called Confidence Boost. It's all about her strutting her stuff in front of her friends. For each non-human in the formation, Ishi's damage is increased by 100% for 15 seconds. Pair that with friends who attack quickly, and Ishi can easily bounce around the screen, laying waste to your enemies! 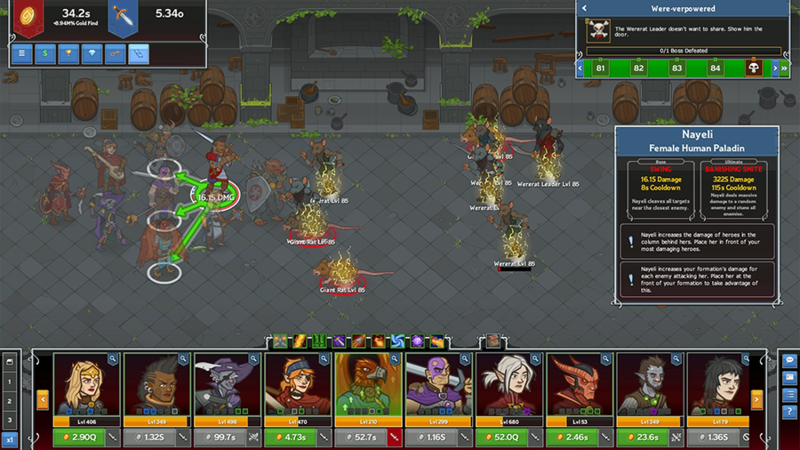 Ishi's Rapier increases her damage. Ishi's cape inspires those around her, increasing their damage (even if they're human). Ishi's amazingly fancy hat increases the effect of Monsters are People Too! increasing Ishi's damage for every non-human adjacent to her. Ishi once ran into the famed Artus Cimber, and carries an IOU from him to be redeemed at a later date. 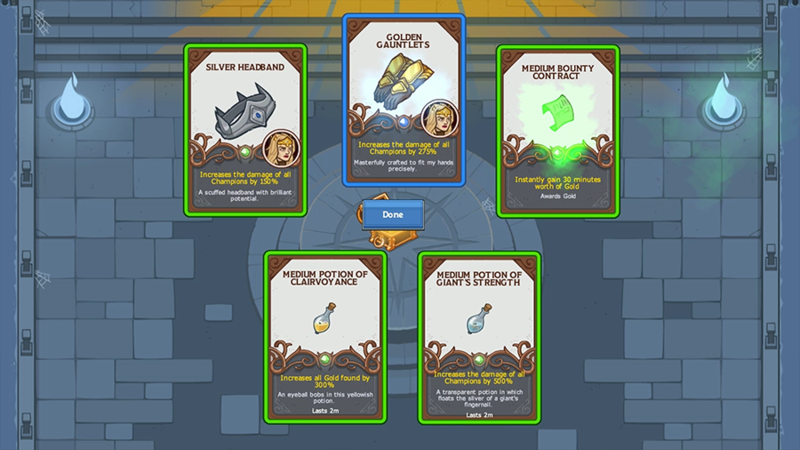 This equipment card increases the effect of Let's Find Some Treasure, increasing your party's gold find for every non-human adjacent to Ishi. Ishi's pet mouse, Nub Ub helps to inspire her to continue onward when using her Confidence Boost Ultimate Attack. I've heard it's a delicacy, but the pocket lint turned me off from trying it. Pocket Soup decreases the cooldown of Ishi's Ultimate Attack, allowing her to use Confidence Boost more often! We're super excited to introduce Ishi into the game. Hopefully she'll inspire you to think of new formations, casting those pesky humans aside. We'll be watching the discussion online and on discord to see how well she's received, so let us know what you think on Facebook, Twitter, or on the official Discord!